Who says that rainy days can't be fabulously fun? 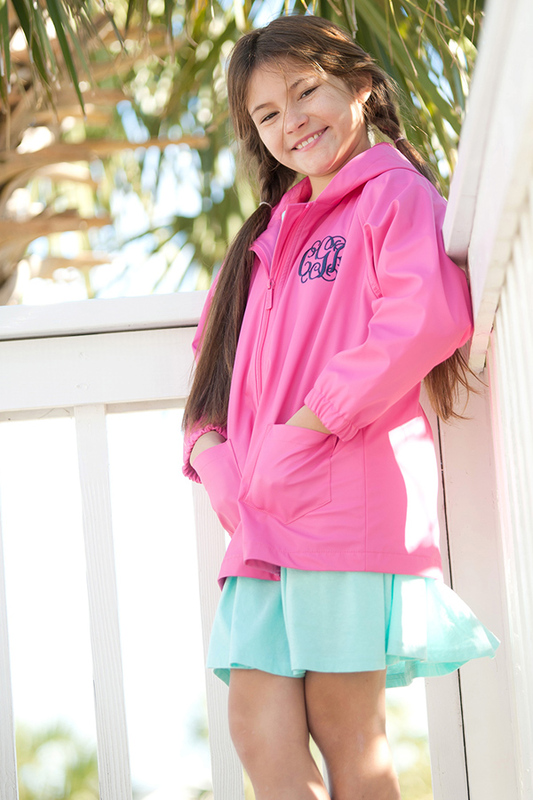 Make a splash in these bright and comfy monogrammed youth rain jackets. 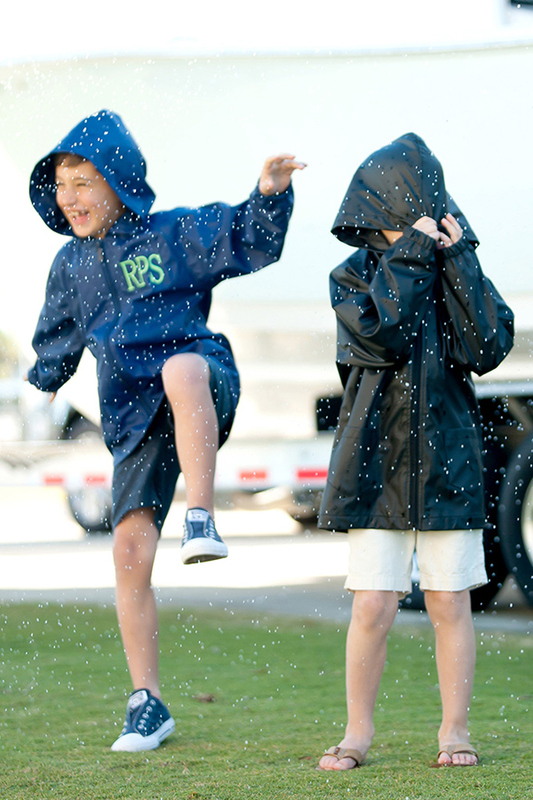 The kids will love stomping around in the rain sporting one of these stylish raincoats. 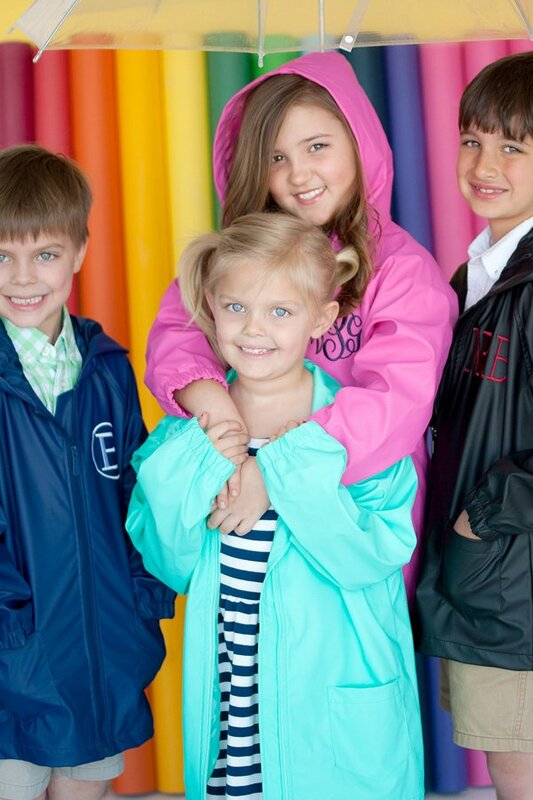 Choose from hot pink, mint green, navy blue, or black jacket colors. 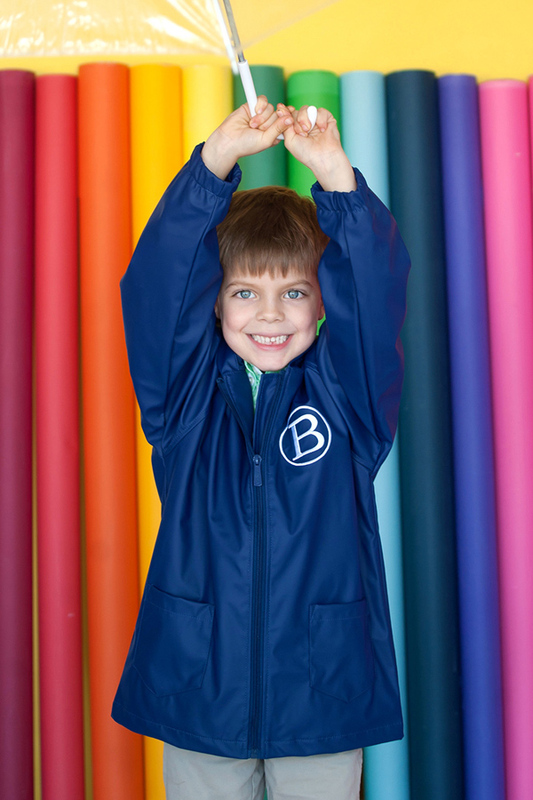 Personalize your jacket with a single initial or three letter monogram in your choice of thread color. Tippy Toad exceeded my expectations. 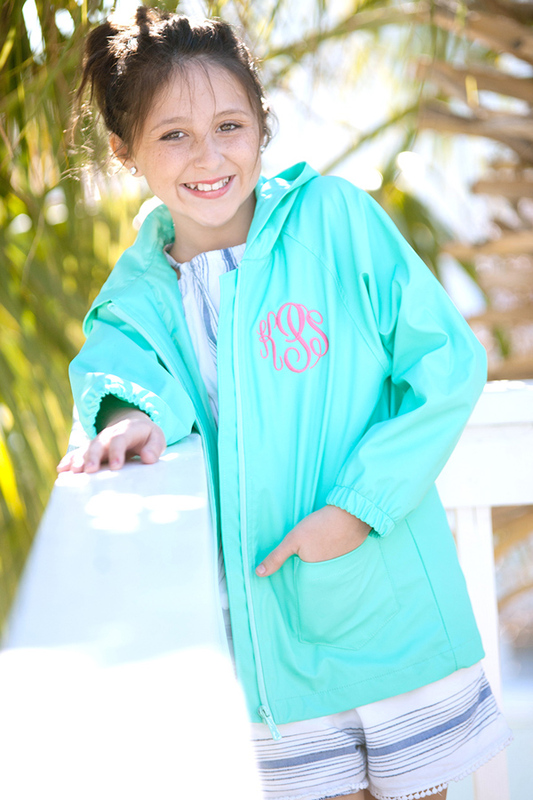 My granddaughters are going to live their new rain jackets!! It was SO CUTE and the colors are perfect. I just wish it was a little thicker and insultated a bit. Other than that it was great. This is a nice jacket and nice embroidery, however I feel it was very overpriced. My complaint would also be that it runs quite big, my daughter wears a 7/8 in everything but her jacket has to be rolled up quite a few inches and goes nearly to her knees. Which is okay bc she'll have lots of time to grow and use it that much longer, but still not what I expected. Once again, the product is really nice but I probably wouldn't buy again bc I can get a character one from Joanns for less then $10 or pay nearly $50 for one that's got her initials on it. Just doesn't seem worth it. But if you've got money to spare then I would recommend this product. 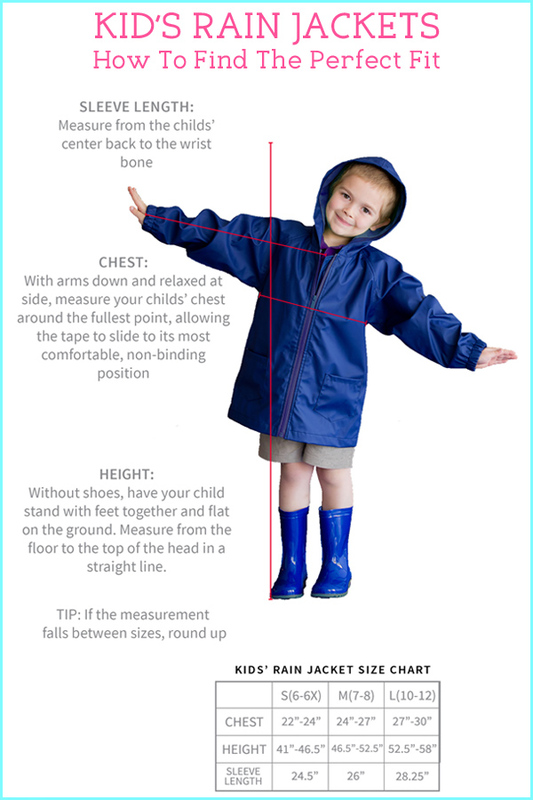 I ordered two jackets for my daughters and am very happy with the product! Shipping was extremely fast. One of the jackets had the wrong monogram thread color, so I contacted customer service and they corrected it and sent me another jacket within a couple of days. Highly recommend. Very satisfied with purchase. It is good quality and customer service was helpful with my questions.